Net Wt. 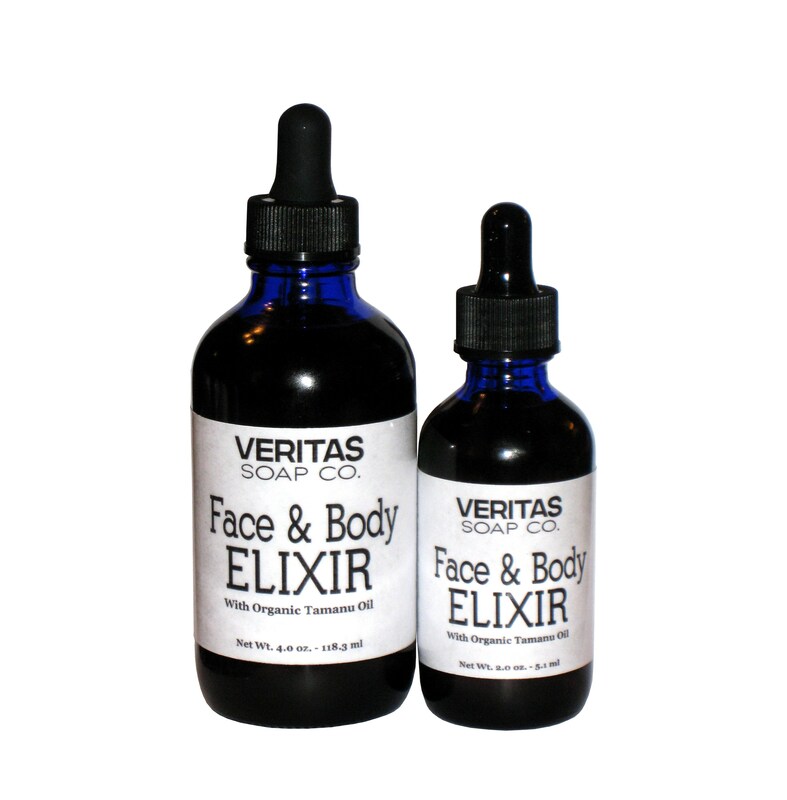 4.0 oz - Veritas Soap Co. - FACE & BODY ELIXIR --> !!! SALE !!! SAVE $6.00 When you purchase our 4.0 oz. 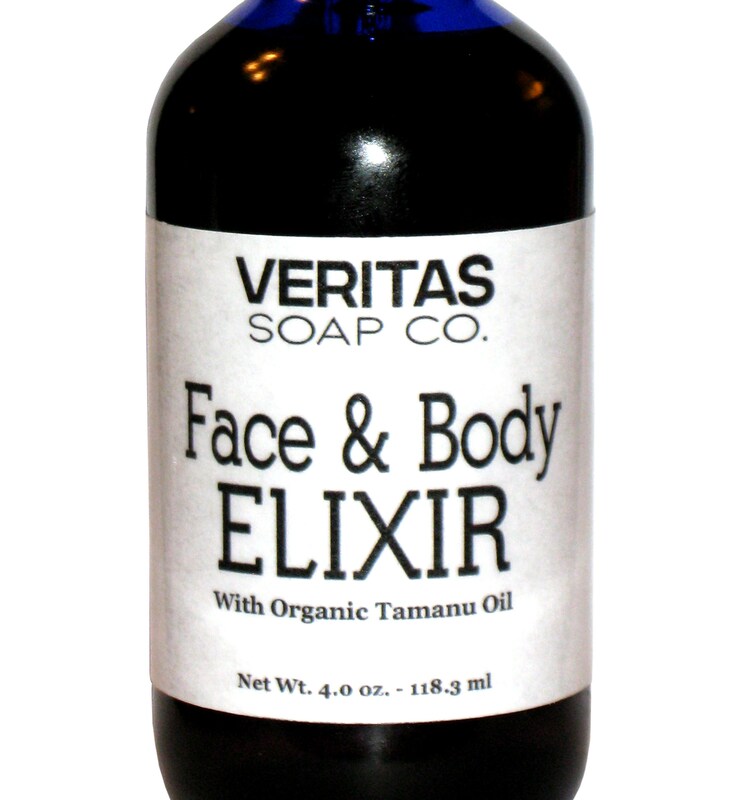 Face & Body Elixir!! Tamanu Oil is a natural nut oil from the South Pacific that is extracted from the nut kernels of the Tamanu Tree after they have been left to cure over a 6-8 week period. The Tamanu Nut Tree is a member of the Mangosteen family and is said to have a natural SPF of about 18-22 due to it's high levels of Sc Glucan, an enzyme which is thought to help reverse the aging process. It has the ability to reduce the appearance of not only acne scars and stretch marks, but it also helps reduce the appearance of fine lines & wrinkles. Tamanu oil also is wild harvested so it's naturally organic by nature. We've included it with some other skin healing and skin renewing oils such as Evening Primrose, Rice Bran and organic unrefined Hempseed oil. Use this Elixir on problem skin, scars, stretch marks, hyperpigmentation, age spots, etc. Great to use on the scalp as a nightly leave-in treatment for dandruff & flakey scalps. Use it on your body as well as your face. Fabulous to use as an eye makeup remover. 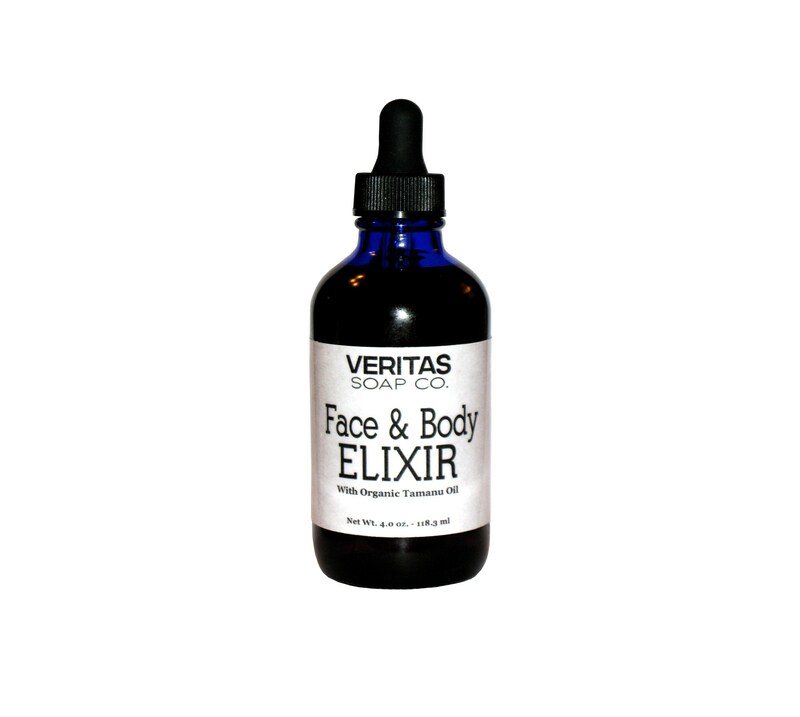 This Elixir is one of the most powerful natural skin reconstructing & rejuvenating serums on the market. Completely safe for all skin types. INGREDIENTS: Organic Tamanu Nut oil, Organic Oil Blend & Vitamin-E. I have purchased this item before and it works wonders on my skin. Boyfriend even notices! All I great with this shop. Product, shipping, beautiful packaging. This elixir doesn't disappoint and a little goes a long way.